10oz. (300ml.) Part of the Japanese limited edition artisans collection. This ample 10oz. 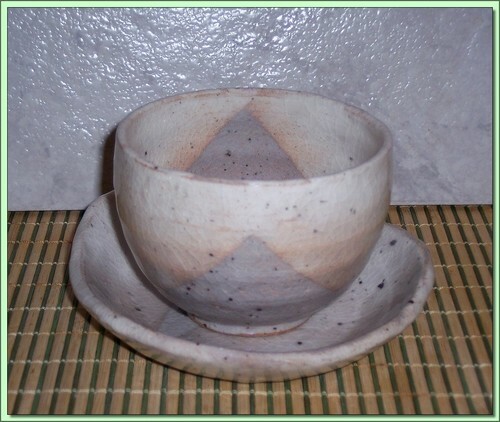 clay cup and matching saucer features a delicate geometric pyramid pattern on a light background. It allows you to enjoy a lot of tea at once!